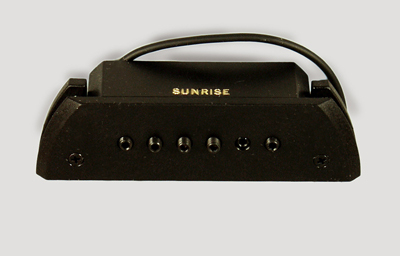 Sunrise S-2 with installation kit Acoustic Guitar Model Magnetic Pickup, made in Thousand Oaks, CA. Length is 4 1/2 in. (11.4 cm. ), 1 1/4 in. (3.2 cm.) width, and 1 in. (2.5 cm.) deep. New Condition.